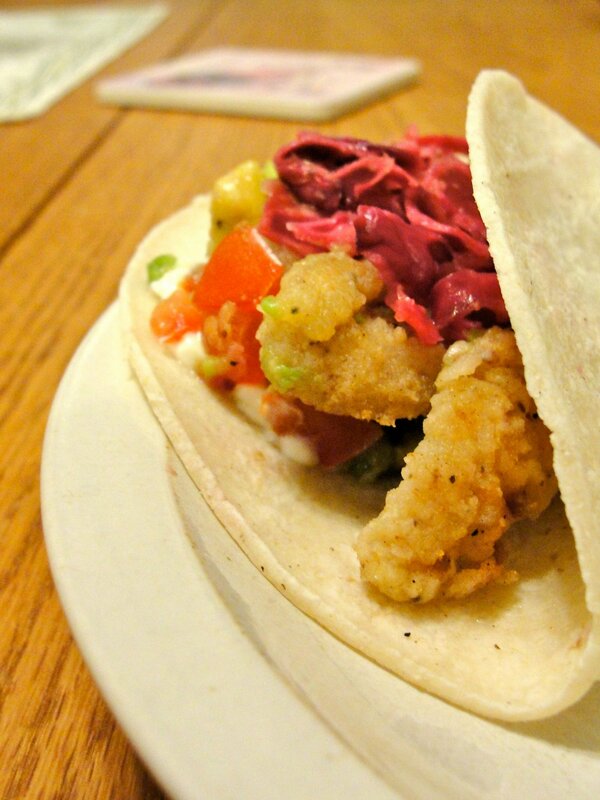 Fish Tacos are one of my favorite dishes at restaurants, so lately I’ve been preparing them myself! Pico de Gallo: Mix diced tomato, finely diced sweet onion, diced ripe avocado, finely diced jalapeno or serrano pepper (seeds removed), lime juice, mexican oregano, salt. Alternatively, you can use a cajun blackening spice rub rather than an egg/flour batter. Pan fry and place on paper towels to draw oil. Assemble tacos in warmed corn tortillas at the table to your liking. Here I also added sour cream; you may like cheese instead.